As explained in the chapter on Nikon movie cameras, Nikon entered the amateur movie market in the early 1960's. 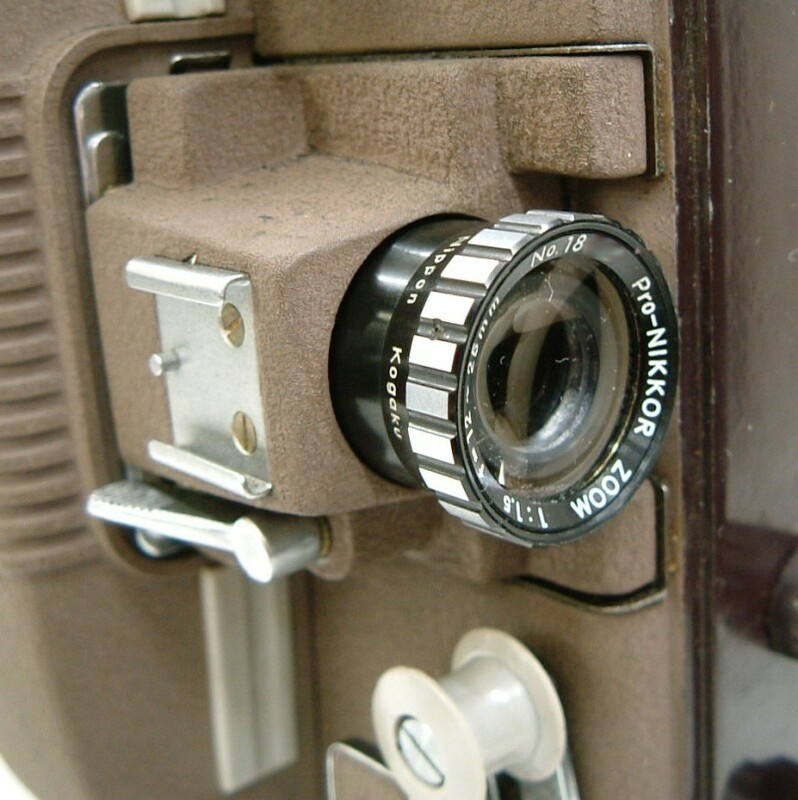 Named 'Nikkorex 8P Zoom' in 1961 a 8mm. 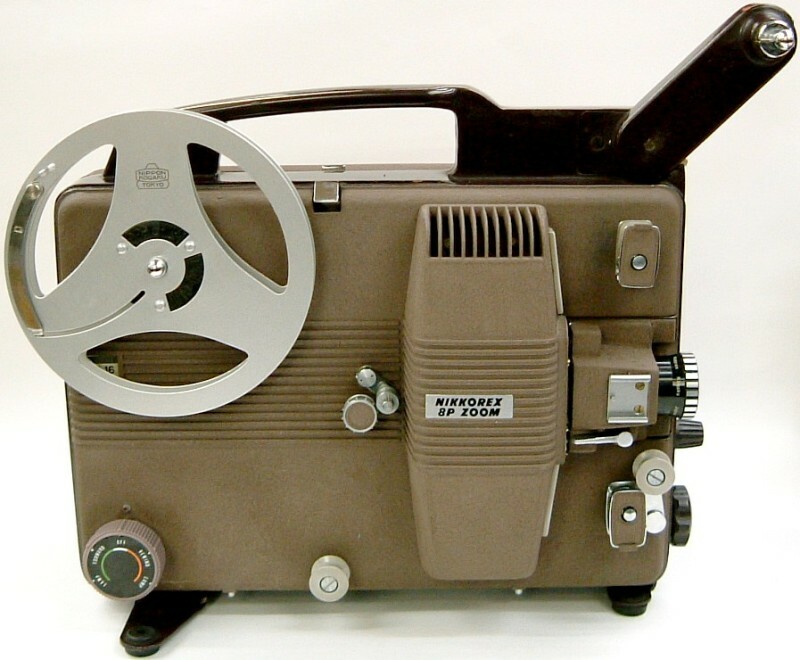 movie projector was released, though sold in very low quantities, as this projector was rather expensive (¥24,800). 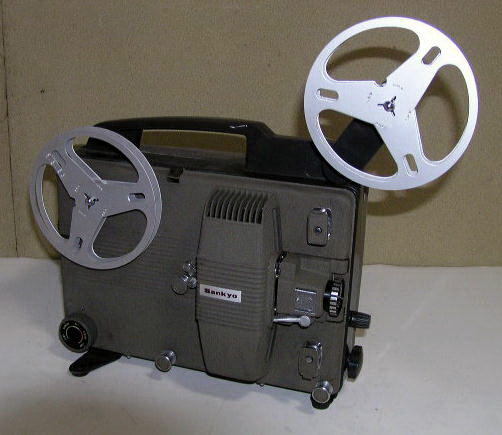 Japanese collectors are claiming that this projector is a clone of a model (8-SP) produced by Sankyo (see above and judge yourself), fitted with a 1.2/18mm. lens and an 8Volt, 50 Watts lamp. 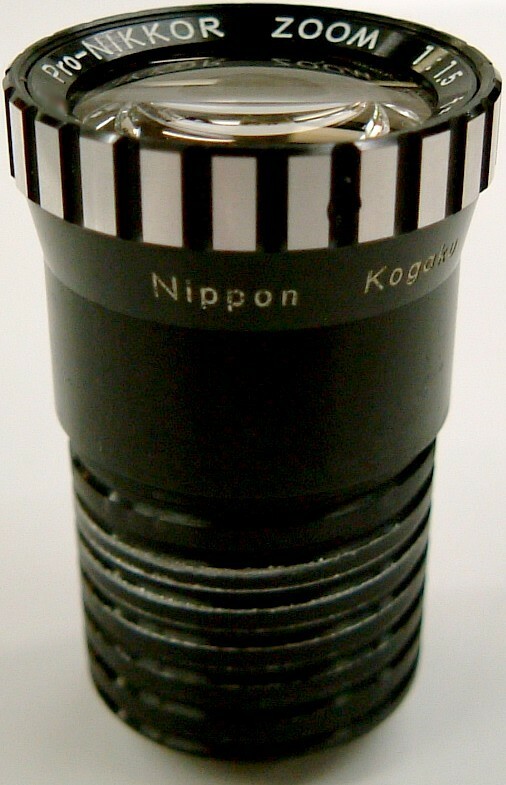 The Nikkorex lens, however, seems to come from Nikon (see below): the extremely rare Pro-Nikkor Zoom 1.5/12-25 mm. More details about that lens are not (yet) available. Pro-Nikkor Zoom No. 18 !! 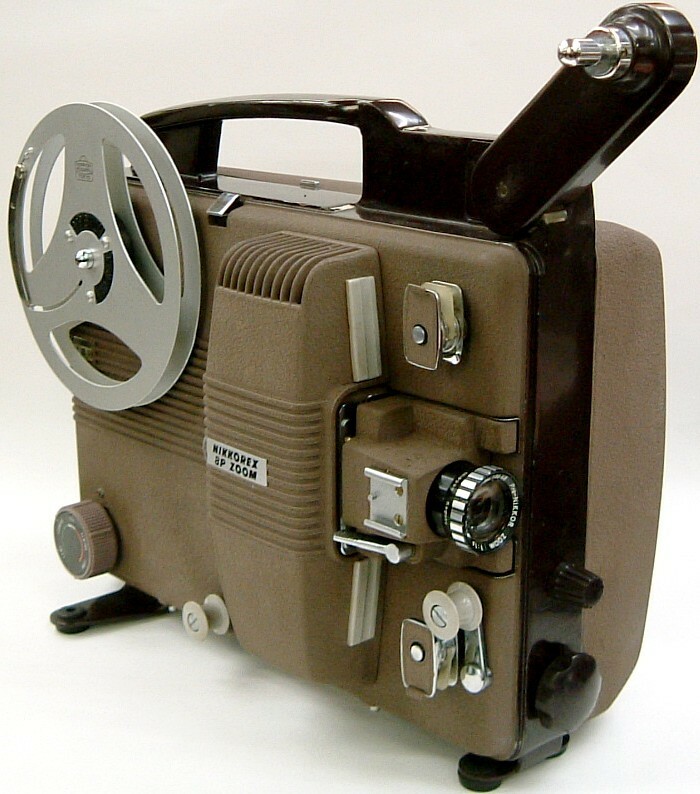 The projector was named 'Nikkorex' as the early Nikon movie cameras were. The projector is using also an 8 Volts - 50 Watts lamp and has the possibility to show movies at 16, 18 and 24 frames per second. Since Japan has a 100 Volt electricity network this projector could only be used outside Japan via a voltage converter. Both projectors are weighting in at 4.5 kilo (cover included). As one can see the reels were marked with the Nippon Kogaku Tokyo logo. For more info on the Nikon movie cameras, please click here.